A dual mode solution can help avoid costly cellular roaming charges by avoiding cellular network blind spots. Technology Consideration: If a CDMA-only tracking device moves into an area with only GSM coverage, or the cellular tracking device does not use the same frequency as the network, roaming may not be possible and effectively creates “dark-pots” where there is no way to communicate with the asset. Global Satellite Engineering (GSE) recommends Orbcomm’s Skywave Dual-Mode IDP-782 device for many reasons. Orbcomm’s Skywave IDP-782 dual mode satellite-cellular device can be programmed or configured to send and receive larger amounts of data in urban areas and maintain a vital communications link outside of cellular. Since satellite service for tracking applications is uniformly available and not susceptible to the same network congestion as cellular (technology change or weather issues) satellite is an excellent backup communication option for when cellular service is not available. If maintaining control and complete visibility of the fleet and its operations at all times is valued by the fleet manager, company or government agency is an important value, then considering a dual mode solution is highly recommended. 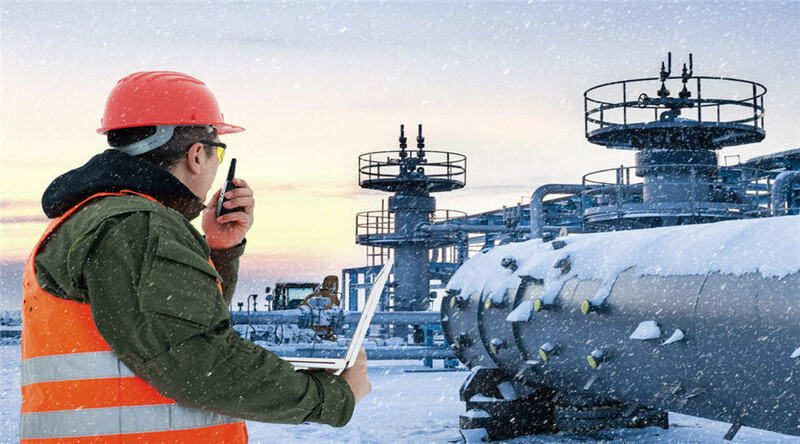 The IDP-782 helps protect cargo in high-risk areas with both cellular and satellite reporting, cellular jamming detection, panic buttons and more. The IDP-782 provides an additional layer of assurance by providing a more uniform communication coverage, especially in areas with weak or no cellular coverage. For high risk areas, dual-mode satellite-cellular also provides an alternate communications method when cellular jammers are used. The IDP-782 can send a message via satellite that a signal jammer has been detected. The IDP-782 is an integrated, dual-mode communications device that delivers connectivity to assets using cellular networks and the IsatData Pro satellite service. It is feature-rich and fully programmable to support the development of custom applications for specific customer requirements. It is equipped with various interfaces including 1-Wire, CANbus, and digital/analog/serial sensor ports. It also has an onboard accelerometer, dual-SIM ports, and the ability to accommodate a backup battery. Can customized alerts be created? Can those be sent via email and text messages to the people who can act on the information? How many geofences can be programmed into the device? Is it easy to add, remove and change them? Can the user tailor the behavior of the device within and outside geofences? Does the user have access to reports by vehicles, customer and fleet? Are the reports customizable? Can those be sent via email and text message to the people who can act on the information? What needs to be monitored for effective vehicle operation? Can the device be connected to any external sensors? Can it extract vehicle engine and diagnostic information? How is the tracking device powered? Can it be self-powered or connected to the vehicle power? Does the device form-factor meet the requirements of the application? Can the device be hidden if required for security reasons? Is the device configurable or programmable to the needs of the owner? Can the data be integrated with other business software like dispatch systems? What are the costs to purchase and install the tracking equipment? Are there any integration costs? What are the monthly costs to operate the device and use the tracking application? How is data sent to the tracking application? What is the reliability of the tracking device? Is it designed for extreme conditions? GSE’s GSatTrack telematics software can be best described here as a web-based Custom-Solutions-Enabling telematics software, a pioneer and industry lead in the SATCOM space for monitoring, tracking, streaming analytics, and data management. GSatTrack provides the technology and tools to add and integrate devices from manufactures of your choice regardless of communication networks (GSM, Satellite, or VHF), and a combination thereof. GSatTrack offers best in class integration options, which allows it to ingest, process, and relay data to and from an extensive mix of devices and endpoints. A perfect example to showcase the power behind GSatTrack is revealing the level of integration of Orbcomm’s Skywave IDP-782 dual-mode satellite-cellular device into GSatTrack, and how paring the IDP-782 with GSatTrack can jump start new opportunities for Fleet Management within any industry. Orbcomm offers an SDK (Software Development Kit) for developers that is intended for those with engineering configuration skill sets. The infrastructure and the APIs may be available and are written, but without simplified tools to configure off the shelf products such as the AVL (Automatic Vehicle Location) agent, you would require engineering to perform the technical engineering for troubleshooting, as there is no simplified GUI (Graphic User Interface). GSE has built an interface to interact with the software specific to Orbcomm's Skywave products and has advanced the level of integration like no other to allow the end user to take advantage of the given features with the push of a button. One of the primary leverages of GSatTrack is its endless capacity to ingest data from the widest array of hardware and API’s of any product on the market. To date, GSE has integrated product lines from over 40+ manufacturers and counting. GSE’s mission is to simplify efforts to reach best in value desired results, while saving time, money and in many cases, lives. The development of GSatTrack was sparked into fruition to do just that and continues to do so by investing its network of specialized engineers in applying GSE’s Technology Prediction Methodology and aligning with the ever-evolving technological advancements to continue to innovate new ways to solve challenges and streamline processes. Please contact a GSE Solutions Specialist at sales@gsat.us; or at govsupport@gsat.us to reach a government solutions specialist, to discover how GSE may help you with your telematics needs.